Shock Wave Therapy is currently availability at our Austin Ave(Coquitlam) location. There are no extra charges for the treatment other than regular physiotherapy fees. In the treatment session shock waves are directed at the area of pain, where they cause a controlled mechanical stimulus. Healing processes are caused in deeper tissue areas, just as after external injuries. This results in increased blood circulation and the formation of blood vessels, so that new connective tissue is generated. Degenerated tendon tissue is regenerated and tightened. The intense nature of the stimulation also creates powerful pain inhibition, commonly resulting in immediate reduction of pain. Is Shockwave therapy safe? What are the contraindications? Shockwave Therapy is a very safe treatment modality. There are no adverse effects to the treatment, other than post-treatment soreness that usually decreases within 1-3 days. Relative contraindications would be fractures, bone diseases, active cancer, pregnancy, connective tissue disorders or hemophilia. Yes, it certainly can be quite uncomfortable. Nevertheless, the treatment itself is quite short(5-10 min) and certainly bearable for 99% of patients. The therapist can easily adjust the intensity, so treatment discomfort can be as per patient’s tolerance. Also, we would also use V-Actor therapy post-treatment, that decreases the soreness and actually improves treatment outcomes. It depends on how long you had the condition. Most conditions resolve within 6-12 sessions, provided the patient did the apropriate exercise/rehab home program as provided by the therapist. Who performs the treatment at the clinic? 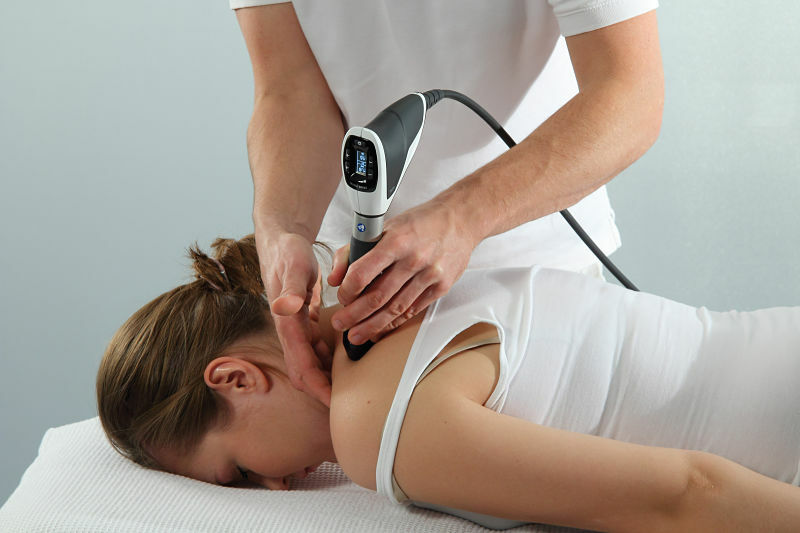 All Shockwave treatments are performed by Registered Physiotherapists only. We do not use technicians or assistants to perform the treatment. What is the difference between Focused and Radial shock-waves? They are different forms of energy release. In Focused Shockwave, the energy becomes more intense as it goes deeper, being efficient for treatment of internal conditions such as kidney stones. In Radial Shockwave, the energy spreads out as it goes through the tissue, making it the treatment of choice for tendon/ligament injuries and trigger points. We use Radial Shockwave at our clinic. How can I know if Shockwave Therapy is for me? The success of treatment depends on accurate assessment. For example, a simple Heel Pain/Plantar Fasciitis may not respond to Shockwave if other contributing factors such as flat arches or stiff ankle joints are not addressed. Only if complete assessment is performed including taking detailed history and thorough physical examination, the therapists can determine what are the success rates from Shockwave Therapy as it relates to you condition.